I must admit, all of the above apply here (and yes, despite being in my thirties, I’m still a sucker for certain shades of purple — no shame ??). 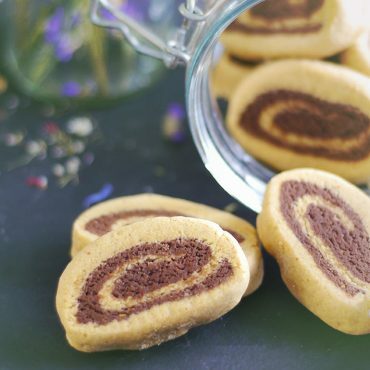 Now I know that pumpkin spice and autumnal recipes are on everyone’s mind right about now… but what can I say, these just won my heart and no way am I waiting till next summer to fill you in! 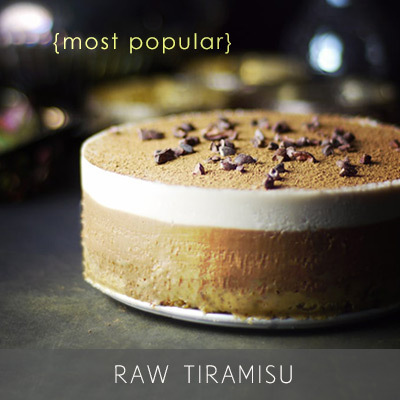 If you love tahini and recipes that come together in 2 minutes flat (and all things purple ? 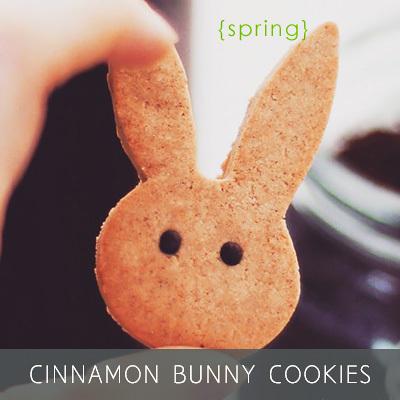 ), I know you’ll LOVE these. 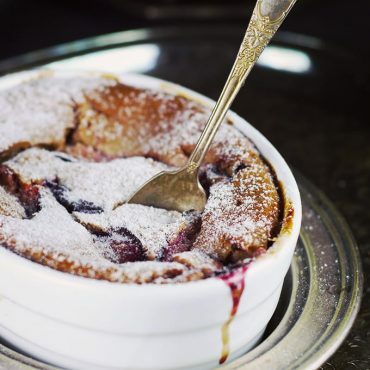 I used a fruit-sweetened jam — look for brands like St. Dalfour’s or Crofters for an organic version (the latter is what I used here), or just use any blueberry jam you like. 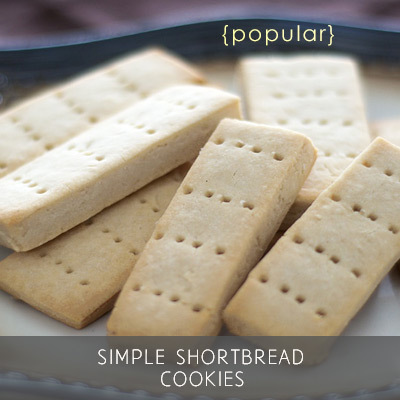 Can even go for a homemade version — like this one. If you’re not a tahini fan but just love the pretty color, feel free to use another light-colored nut or seed butter instead. Skipping the nut butter will result in tasty but icy pops (the “butter” helps to bind the ingredients together and adds a good dose of creaminess). If you go for fresh blueberries and a sweetener of your own, beware the color will be a lot more dull and the flavor less concentrated (as a jam has a ton of fruit packed in) so I thought jam was an appropriate choice here. P.S. 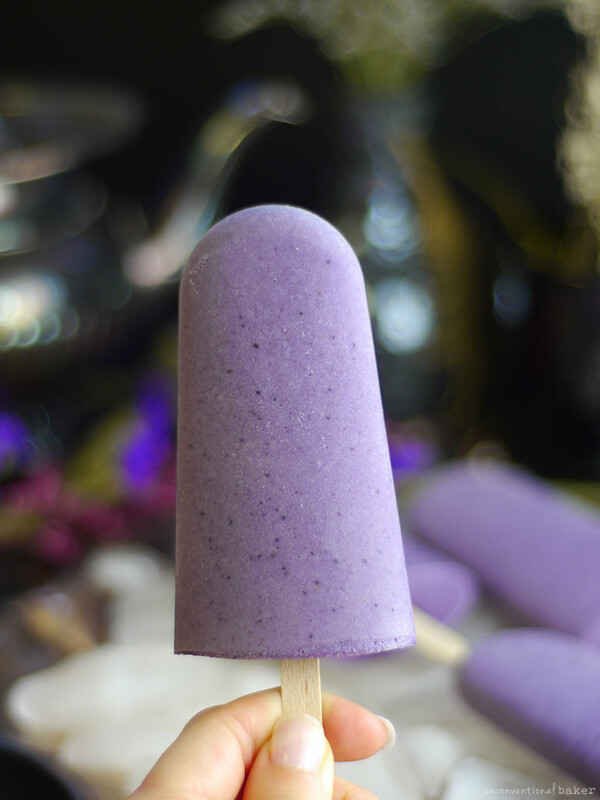 For those following the blog, you may have noticed I used a popsicle mold here after my little anti-popsicle mold mishap mentioned in this coconut cardamom pops recipe post recently… The reason is that the lovely Canadian company Prana sent me a gift mold as part of a care package. They don’t sell these particular molds themselves, but it was very kind of them and I’m actually over the moon with these pop makers (unlike the one I got rid of) — they’re easy to care for and make simple, smaller pops, which is totally my style. If you’re on the hunt for new molds, the closest thing I can recommend are these ones (maybe made by the same company? ), which I combined with some wooden sticks (great if you’re handing them out to others and don’t expect the reusable tops back… plus they look pretty classy this way. If you do use the sticks, you have to wait about an hour after freezing to insert them in btw). 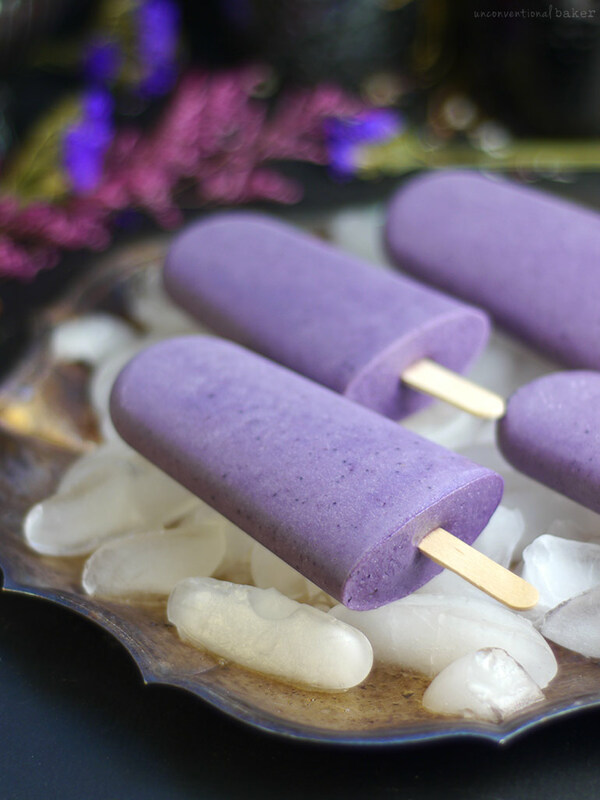 Light, creamy vegan pops that combine the beautiful, unusual flavors of tahini and blueberry. Gorgeous purple color. 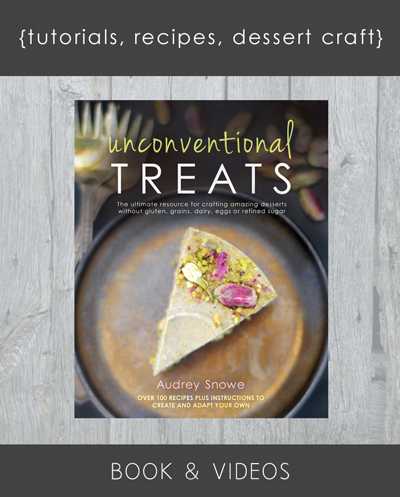 Naturally gluten-free and refined sugar-free. ⅛ tsp raw ground vanilla bean (or a bit of a vanilla bean pod, or pure vanilla extract if you can’t find the other options). Blend all ingredients in a blender until smooth. Pour into your popsicle mold and freeze overnight or at least 5-6 hours to set. Enjoy! 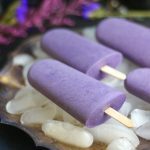 This post contains affiliate links to the popsicle mold and sticks for the recipe. I’m here for all three reasons, haha! 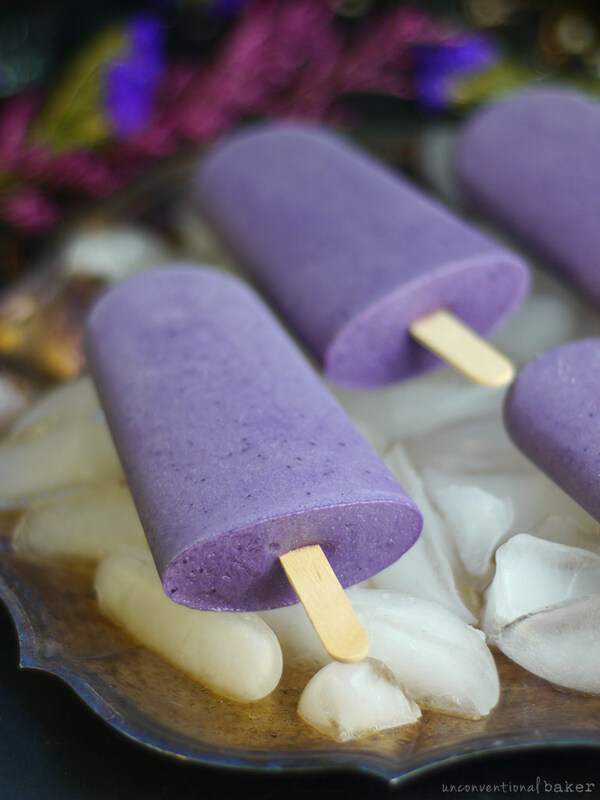 These blueberry pops look DELICIOUS. I never would have thought that tahini and blueberries complement each other! These are GORGEOUS! I’m in love. I am here also because your photography is gorgeous! Thank you so much, Natalia :) These pops were very photogenic! Hehe, I know. I was quite liking the paper cup version :) But the pops are a bit more handy.. and you get more popsicle out of them ?